It can be the smallest event that triggers Donna Penner’s traumatic memories of an operation from more than ten years ago. Even the wrong clothing can make her anxiety worse. ‘Anything that’s tight around my neck is out of the question because it makes me feel like I’m suffocating,’ says Donna, a 55-year-old from Altona in Manitoba, Canada. Donna would not be like this if it were not for a small medical procedure that she had before her 45th birthday. She was working in the accountancy department of a local trucking company and had just celebrated the wedding of one of her daughters. But she had been having severe bleeding and pain during her period, and her family physician had suggested that they investigate the causes with exploratory surgery. For years, anaesthesia awareness has been shrouded in mystery. Although extreme experiences like Donna’s are rare, there is now evidence that around 5 per cent of people may wake up on the operating table – and possibly many more. Thanks to the amnesiac effects of the drugs, however, most of these people will be unable to remember anything about the event – and whether or not that is something we should be concerned about is both a practical and a philosophical question. Let’s be clear: anaesthesia is a medical miracle. Since at least the time of Hippocrates, physicians and medicine men had hunted for a good way to ease the pain of medical procedures. While drugs such as alcohol, opium and even hemlock could act as sedatives, their efficacy was unreliable; most patients did not escape the torture. By the 1840s, scientists had discovered various gases that appeared to have sedative effects. One of these, sulphuric ether, had attracted the particular attention of a dentist based in Boston, named William Morton, who put it to the test in a public demonstration at the Massachusetts General Hospital in 1846. Although the patient was still able to mutter half-coherent thoughts, he reportedly felt no pain, just the faint sense of his skin being ‘scratched with a hoe’. Today, anaesthetists have a wide range of pain-killing and consciousness-reducing drugs at their disposal, and the exact choice will depend on the procedure and the patient’s particular needs. Often, the aim is not to produce a loss of consciousness but simply to remove the sensation from a particular part of the body. So-called regional anaesthetics include spinal and epidural anaesthetics, both of which are delivered between the bones of your back to numb the lower half of your body. These are commonly used during childbirth, bladder operations and hip replacements. You may also be given a sedative – which produces a relaxed, sleepy state but does not fully eliminate your awareness. Propofol, for instance – a milky-white fluid used in general anaesthetics and some types of sedation – seems to amplify the effects of GABA, an inhibitor that damps down activity in certain areas of the brain, as well as communication between them. These areas include the frontal and parietal regions, at the front and towards the back of the head. ‘It’s very possible that anaesthesia interferes with that ascending transmission of information,’ he says. And without it, the mind temporarily disintegrates, becoming a blank screen with no ability to process or respond to the body’s signals. Many procedures also use muscle relaxants. For example, nearly half of general anaesthetics administered in the UK included neuromuscular blockers. These drugs temporarily paralyse the body, preventing spasms and reflexes that could interfere with the surgery, without raising the dose of the anaesthetic drugs to dangerously high levels. This all makes anaesthesia as much art as science, and in the vast majority of cases, it works astonishingly well. More than 170 years after Morton’s public demonstration, anaesthetists across the world plunge millions of people each year into comas and then bring them out safely. This doesn’t just reduce patients’ immediate suffering; many of the most invasive lifesaving procedures would simply not be possible without good general anaesthesia. It may also be difficult to time the effects of the different drugs, to ensure that the so-called induction dose – which gets you to sleep – doesn’t fade before the maintenance dose – to keep you unconscious – kicks in. Donna tells me about her own experience, during a lengthy telephone conversation from her home in Canada. When she woke up, she could hear the nurses buzzing around the table, and she felt someone scrubbing at her abdomen – but she assumed that the operation was over and they were just clearing up. ‘I was thinking, ‘Oh boy, you were anxious for no reason.’ It was only once she heard the surgeon asking the nurse for a scalpel that the truth suddenly dawned on her: the operation wasn’t over. It hadn’t even begun. Donna’s torment should have finished after the surgeon had ended his work. But as the neuromuscular blockers began to wear off, she started to move her tongue around the tube stuck down her throat; it was a way, she thought, of signalling to the staff that she was awake. Unfortunately, the staff misread her attempts at communication, and began to withdraw the tube prematurely, before the paralytic agent had faded enough for her lungs to be able to operate on their own. ‘So here I was lying on the table and he took away my life support, my oxygen, I could not take a breath,’ Donna says. She assumed she would die. Various projects around the world have attempted to document experiences like Donna’s, but the Anesthesia Awareness Registry at the University of Washington, Seattle, offers some of the most detailed analyses. Founded in 2007, it has now collected more than 340 reports – most from North America – and although these reports are confidential, some details have been published, and they make illuminating reading. ‘I heard the type of music and tried to figure why my surgeon chose that,’ one patient told the registry. ‘I heard several voices around me. They seemed to be panicking. I heard them say they were losing me,’ another reported. ‘There were two parts I remember quite clearly,’ wrote a patient who had had a wide hole made in his femur. ‘I heard the drill, felt the pain, and felt the vibration all the way up to my hip. The next part was the movement of my leg and the pounding of the ‘nail’.’ The pain, he said, was ‘unlike anything I thought possible’. It is the paralysing effects of the muscle blockers that many find most distressing, however. For one thing, it produces the sensations that you are not breathing – which one patient described as ‘too horrible to endure’. These low numbers were comforting news. 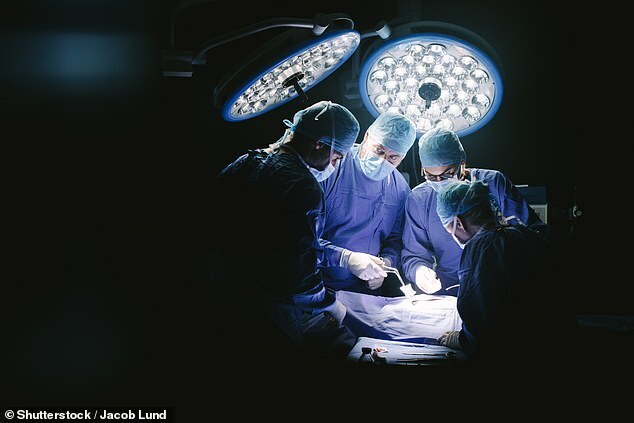 As the media reported at the time, you were more likely to die during surgery than to awake during it, confirming many doctors’ suspicions that this was a very remote risk. Unfortunately, these figures are probably underestimates, as Peter Odor explains to me at St George’s Hospital in London. For one thing, the National Audit Project relied on patients themselves reporting directly to the hospital – but many people may feel unable or unwilling to come forward, and would instead prefer to just put the experience behind them. In the largest study of this kind to date, Robert Sanders at the University of Wisconsin–Madison recently collaborated with colleagues at six hospitals in the US, Europe and New Zealand. Of the 260 patients studied, 4.6 per cent responded to the experimenters’ first question, about awareness. That is hundreds of times greater than the rate of remembered awareness events that had been noted in the National Audit Project. And around four in ten of those patients who did respond with the hand squeeze – 1.9 per cent across the whole group – also reported feeling pain in the experimenters’ second question. Sanders says that there’s no evidence that the patients who respond during the isolated forearm experiments, but fail to remember the experience later, do go on to develop PTSD or other psychological issues like Donna. And without those long-term consequences, you might conclude that the momentary awareness is unfortunate, but unalarming. Yet the study does make him uneasy, and so he conducted a survey to gather the public’s views on the matter. Opinions were mixed. ‘Most people didn’t think that amnesia alone is sufficient – but a surprisingly large minority thought that as long as you didn’t remember the event, it’s OK,’ Sanders says. In the worst-case scenario, those fears could even prevent someone from having an essential medical procedure. Certainly anaesthetists such as Sanders have emphasised that the risks of explicit recall are small, but if you are anxious you should talk to the hospital staff about your concerns. A better understanding of anaesthesia awareness might also help medical staff to deal with patients who have experienced this trauma. Many – including Donna – have felt that their accounts were misunderstood or simply dismissed by medical professionals. The Washington registry, for instance, found that 75 per cent of those who had reported awareness were unsatisfied with the response, with 51 per cent saying that neither the anaesthetist nor the surgeon expressed sympathy for their experience. Overall, just 10 per cent received an apology, and only 15 per cent were referred for counselling to help them to deal with the trauma. The ultimate goal, though, is to prevent these traumatic experiences from occurring in the first place, with studies using the isolated forearm technique helping to identify the best procedures to ensure unconsciousness. ‘There could be specific combinations of drugs that could produce the right blend of anaesthesia to insulate people from the external sensory world a bit better,’ Sanders says. Studies investigating this possibility are few, but Jenny Rosendahl, at Jena University Hospital in Germany, and colleagues have attempted to gather all the evidence to date. Their meta-analysis showed a small but significant improvement in the patients’ ratings of post-operative nausea and vomiting, and less use of morphine after the operation.